Gilberto had a plan. He wanted to pray. Brazil is the only country in South America that speaks Portuguese. To Sabbath School teachers: This story is for Sabbath, June 8. Gilberto never had any interest in joining a church, and he couldn’t understand why he suddenly was overcome with a desire to read the Bible. 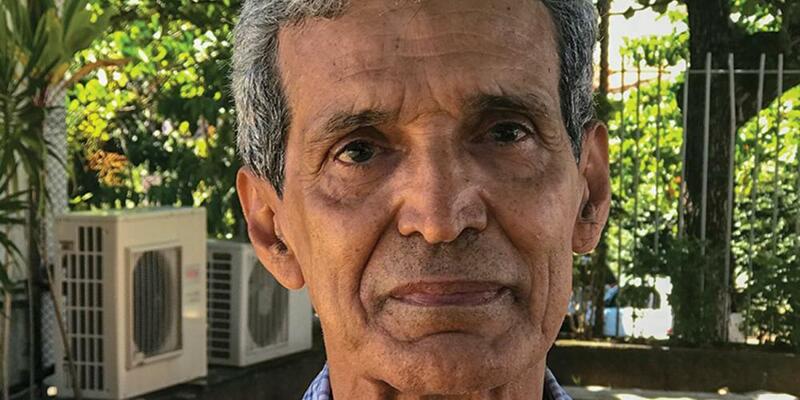 Unable to resist the urge, the retired Brazilian bank manager began to study the Bible on his own. Gilberto was amazed by what he read. But parts of the Bible confused him, and he anxiously pondered their meaning. He wished that someone would explain the Bible to him. On New Year’s Eve, he decided to skip the family tradition of watching fireworks from the street in Salvador, a coastal city of 3 million people in Brazil. After his family left the house, he pleaded with God to teach him the Bible and to reveal His true church. “God answered that prayer more quickly than any other prayer in my life,” Gilberto said later. Without knowing it, Gilberto had prayed on the seventh-day Sabbath. Dec. 31 fell on a Saturday that year. The next day, Jan. 1, was a Sunday. On Monday, the first workday of the year, Gilberto received a phone call from the bank where he used to work. The bank director wanted him to come in to sign a new contract on some investments that he owned. At the bank, Gilberto saw a former co-worker sitting near the bank director’s desk and abruptly remembered that the man was a Christian. He went over to the man, Alvaro, after signing the contract. Alvaro was a Seventh-day Adventist, but Gilberto didn’t know that. “You can study the Bible in Cabula,” Alvaro said, referring to the city district where he attended an Adventist church. The next day, on Tuesday, Alvaro took Gilberto to the Sharing Jesus house church, where people meet in small groups to sing and study the Bible. Gilberto, however, felt uncomfortable going somewhere he knew no one, so he asked a family friend, Regina, to come along. His wife refused to go. Gilberto was fascinated by the Bible study and asked Regina to join him at the next meeting. Regina accompanied Gilberto to every meeting, and she often wore a swimsuit under her clothing so she could swim at the beach afterward. Gilberto was baptized at the end of the year, on Dec. 31, 2006. Regina was baptized the next year. Shortly before his baptism, he announced the news to his mother, who lived in the Brazilian countryside with his sister, Odete, an Adventist. “Mom, I’m going to be baptized into my sister’s church,” he said. Ten minutes after the telephone conversation ended, Gilberto’s mother called back. “Why can’t we be baptized together?” she said. “Are you prepared for baptism?” Gilberto asked. She was baptized at the age of 84. Gilberto was 56. Today, Gilberto is 68 and a co-leader of the Sharing Jesus house church. Part of this quarter’s Thirteenth Sabbath Offering will help the house church move from rented premises into a larger building, where it will also offer healthy cooking classes and health seminars. Gilberto said he marvels at how God answered his New Year’s prayer to understand the Bible and know God’s true church by leading him to the Adventist house church in just three days.